The surface behind them is painted gypsum wall board. 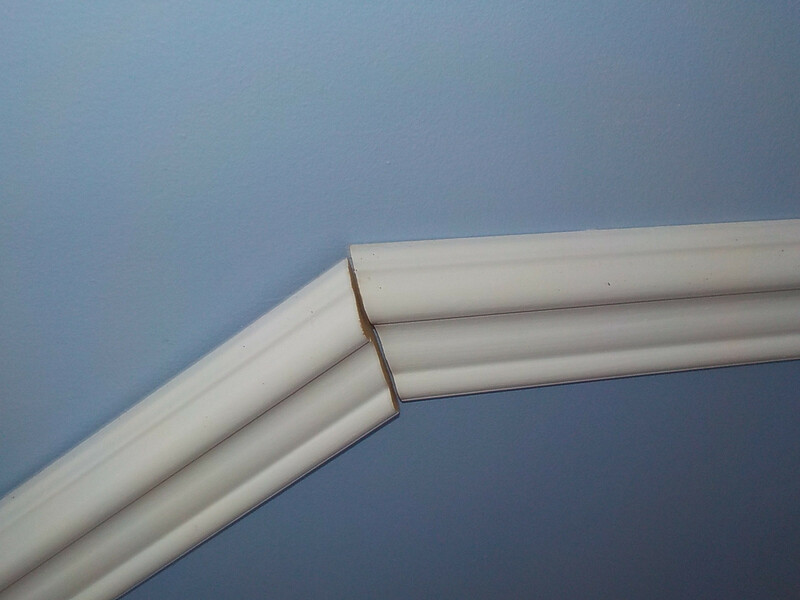 The molding on the right is reasonably secure; however, I suspect that if I rely on it to hold the left molding against the wall it will be pulled away from the wall. I can replace the piece of molding on the right to eliminate the gap. Both pieces are installed on the same section of flat wall. The trim material is MDF. 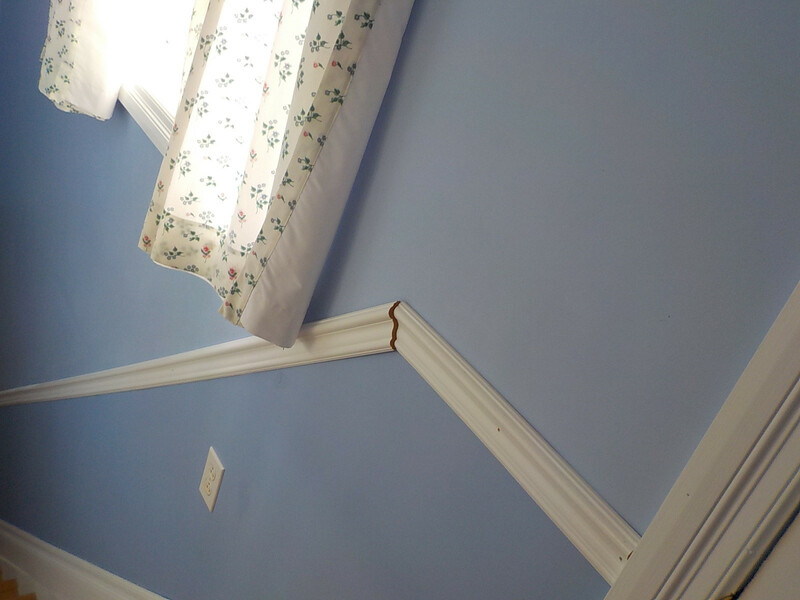 I doubt I have the skill the remove the right piece of trim without breaking it. I haven't enough of this material left to replace it. Most important: I'm referring to the fact that there's a gap between the wall and the molding on the left but not between the wall and the molding on the right. Is there an adhesive that would hold the left stick of molding to the painted surface behind it? Is there some form of mechanical fastener that would work? Thanks for your help, including better ideas. I added some comments to get clarity on the solution, so I'm going to answer with some generic options you could combine or use individually based on your particular solution. These are roughly sorted "best to worst" in terms of my preference for creating the best finished look. Remove and discard the piece on the left. If the wall behind it is not flat, replace it with a flexible molding (ie flexible polyurethane molding) - attach to the wall with construction adhesive and nails to hold in place until the adhesive cures. If the gap is because it's too short, replace it with a correctly sized piece. If you can remove both pieces but don't want to replace either, or the above options don't sound ideal, remove both pieces. Assuming they're wood or another material that will hold screws, use a pocket screw or two in the back of the pieces to hold that seam tightly together. Reinstall as if it was one single piece of molding. Easiest, but ugliest: Leave as-is. Use paintable latex caulk to hide the seam. Paint afterwards. In short: Without removing or replacing the pieces, there may not be much to do other than try your best to hide it with painter's caulk. Not the answer you're looking for? Browse other questions tagged screws trim adhesive or ask your own question.